When Jim Schoppert, a twenty five year old carpenter, found himself in Anchorage, Alaska for a job that didn’t materialize, he decided to go into a hobby shop and use his last fifteen dollars to purchase a piece of soapstone. He began to carve, and encouraged by his sister, he sold one of the two resulting owls. He never looked back. Over the course of the next two decades, he created a body of work that would make significant contributions to our understanding of “tradition,” “innovation,” and “renewal” in the art of the Native peoples of the Northwest Coast. 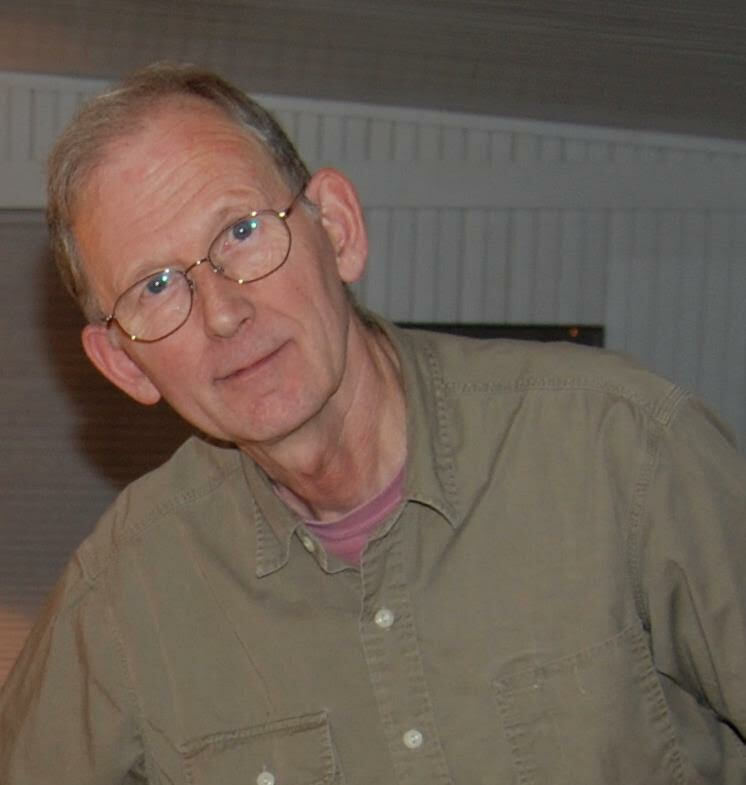 Born in Juneau, Alaska, on May 28, 1947, Schoppert grew up in nearby Douglas. On his mother’s side, he was the grandson of Tlingit Taku chief Jimmy Fox while his father was of German ancestry. Schoppert’s eyes were described by a friend as “winter dark” and “full of mystery.” In a tribute to Schoppert that appeared in the Alaska Bahá’í News, John Walker wrote of Schoppert: “[His] jet black hair, often worn long, made me think he must be akin to the Raven.” In fact, Schoppert was a member of the Raven moiety and the Kiks.ádi clan. He never mentioned “his history of hard knocks and heartaches,” according to Walker, but laughed and challenged conventions and rode out his life far too quickly, dying in 1992 at the age of 45. Although carved and painted panels as well as masks are among his best known and most admired work, Schoppert’s art encompasses a wide range of styles and media, from wood and soapstone carving to painting and print making. 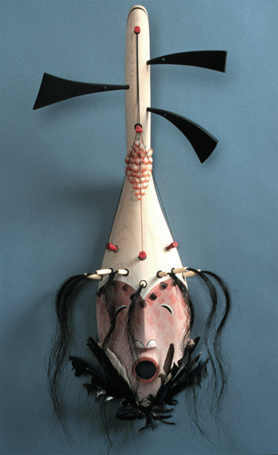 Moreover, it demonstrates a remarkable range of artistic versatility rooted in what Schoppert describes as a preoccupation with understanding what the Native art of Alaska lost after contact with the European settlers — an uninterrupted evolution of its art forms — and what it might now gain if traditional art forms were revisited and reimagined. 1 - Cotter, Holland. “Art in Review.” New York Times. Dec. 3, 1999. 2 - Steinbright, Jan. “Interview: Jim Schoppert” in Journal of Alaska Native Art, March-April 1987. 3 - Carroll, Patricia. “Jim Schoppert: Minimal Sculptor,” The Alaska Journal. Spring 1979:91.